In support of the Dynamic Entities group show at Room 83 Spring, I'll be giving an artist talk on Thursday, June 14, at 7pm. 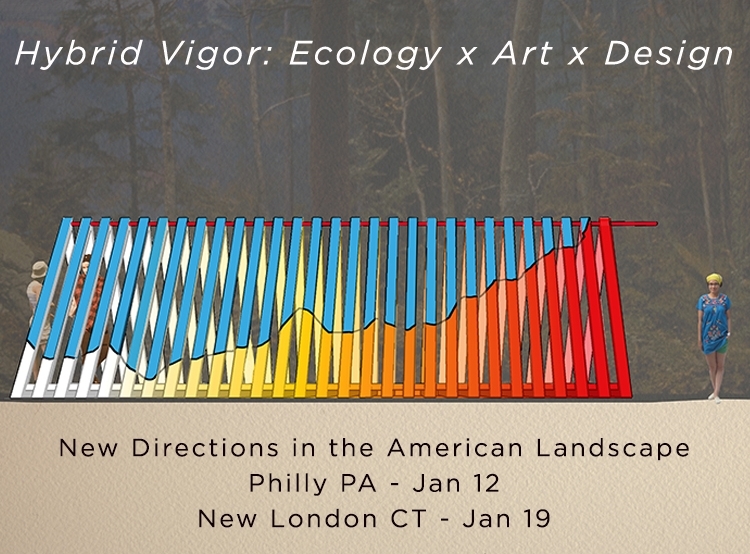 The free public talk, entitled "Hybrid Vigor: Ecology, Art, and Design," is a general-audience lecture focused on the creative intersection of ecology, art, and design as viewed through the lens of my interdisciplinary practice. I will share my research-driven creative process and highlight my collaborative approach to environmental communication at the intersection of landscape, creativity, and cultural event. Case study projects will include, Hibernaculum at Boston’s Innovation and Design Building, Hoosic River Expedition in North Adams, and Hemlock Hospice at the Harvard Forest. 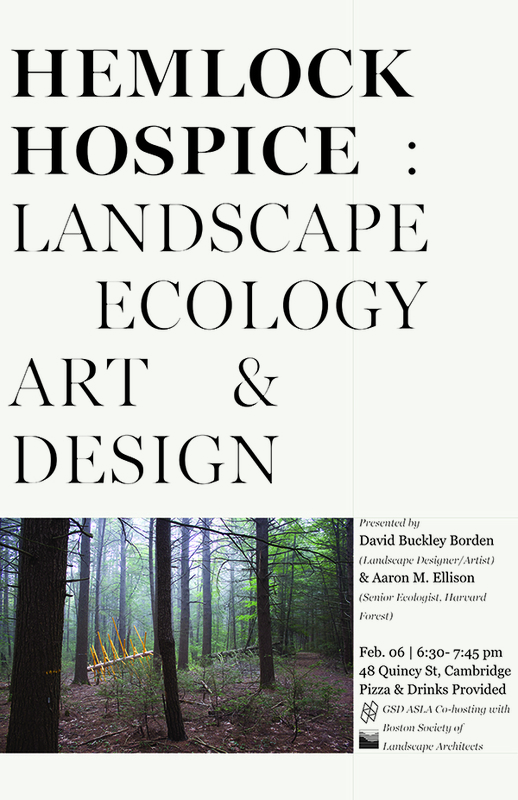 I am excited to present the Hemlock Hospice project with Aaron Ellison on Sunday, May 6th at the upcoming Broto conference in Provincetown, MA. If you find yourself at the conference, do say hello. We are a Conference: May 4-6, 2018 is our inaugural summit and will devote its entire weekend program to building and ratifying a Broto Collaboration Blueprint. This will be an exportable framework for collaboration that we hope will inspire creative exploration of the rich territory between art and science, while preserving the integrity of both. The first Broto conference is a brisk, three-day program of speakers, panels, workshops and social events. We are a Community: Our site broto.eco is the home base for a growing community of artists and scientists – learning about collaboration, finding collaborators, sharing collaboration insights, and lauding the gains we have been able to catalyze. We’re learning, transparent and disciplined. We are Collaboration: At our foundation, we are made up of art and science but Broto has become something more and different. This is a pioneering work in progress and our understanding of the nature of collaboration – not just the tantalizing potential of collaboration – is our primary driver. Orion Magazine feature by Gabriel Poplin on Harvard Forest Hemlock Hospice installation work can be read here. A fun quote: "My work is similar to a Morrissey song. The content is terribly depressing. But the delivery doesn't need to be depressing." 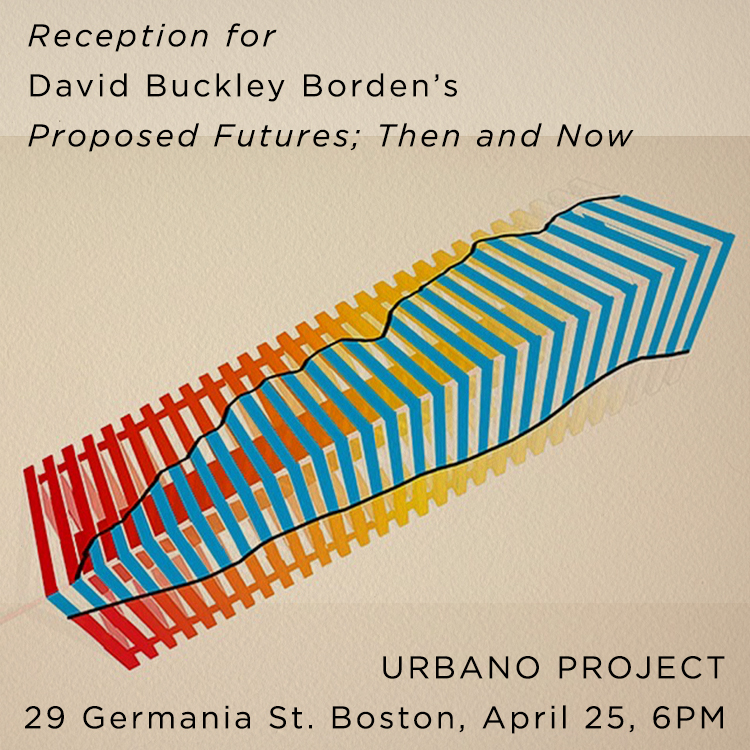 Looking forward to the reception for Proposed Futures: Then and Now exhibition at the Urbano Project on Wednesday April 25th at 6PM. Exhibition focuses on the proposal as a creative medium across a variety of recent projects including residencies at Harvard Forest, Teton Art Lab, Trifecta Editions, and MASS MoCA. The reception will also host a live performance by Ben Cosgrove who's landscape-inspired compositions are stunning. The Urbano Project is located at 29 Germania Street, JP, Mass...right across from the Sam Adams Brewery. Exhibition runs through May 17th.